← Apps on sale through the end of the day! Bootcamp is our circuit training app – a departure from our running (and now walking!) programs, designed to cross-train and generally strengthen your entire body. We’ve talked about the benefits of non-running workouts before, but here are five good reasons to to take yourself to bootcamp this winter. No commitment required. Of course you can do Bootcamp as regularly as you would Ease into 5K or any of our other programs, but it’s designed so that you can complete a one-off workout whenever you’d like. You’ll have a full set of go-to workouts without feeling like you need to commit to a robust program. You can do it anywhere. Bootcamp exercises can be done anywhere you have a few feet of space to move around; no weights or equipment required. If you’re travelling, stuck inside, or for whatever reason can’t get out and run, circuit training is a great plan B.
There’s variety. Bootcamp isn’t just one set of workouts. There are plenty of circuits to choose from, whether you’re trying to burn fat or target and tone a specific muscle group. And if you need to customize beyond our standard group of workouts, you can always make your own (see next). Build your own workout. Creating your own circuit is as easy as dragging and dropping exercises from one side of the screen to the other. 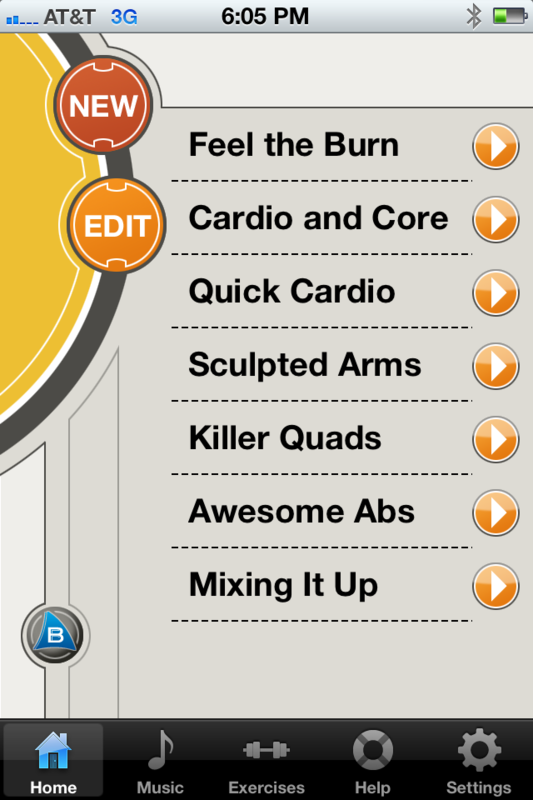 You can even name your custom workouts and save them for later. It’ll make you a better runner. Circuit training (and cross-training in general) will help you strengthen your body beyond what you’ll get from running alone. Not only can you greatly strengthen key muscle groups like your legs, you can also strengthen your core, improve your posture, and fine-tune your balance – all things that will make you a faster runner. You’ll be less prone to injury, too. This entry was posted in BootCamp. Bookmark the permalink. Will this be coming to Android handsets? Thanks for posting. We are working on updating the app with new features. Once we have those in place we will be looking into adding the Bootcamp app to Android.